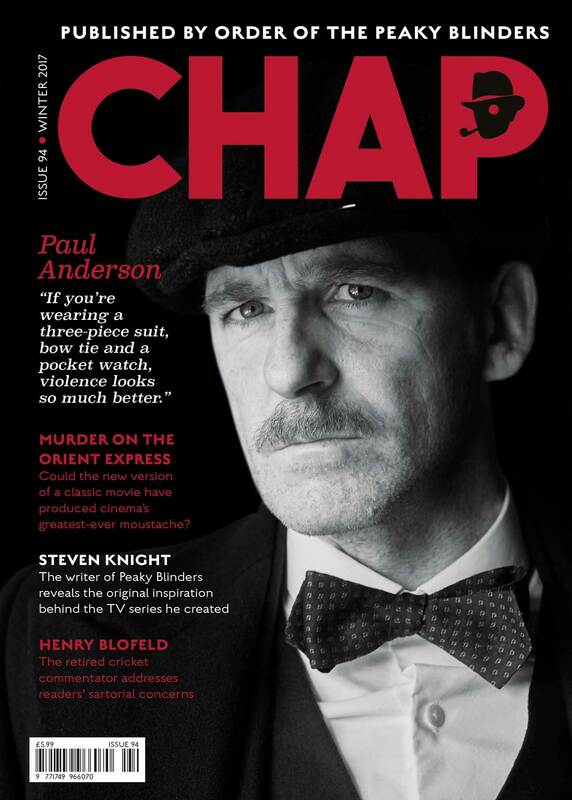 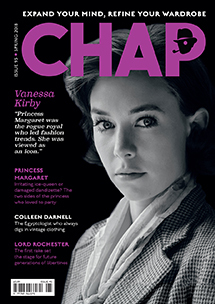 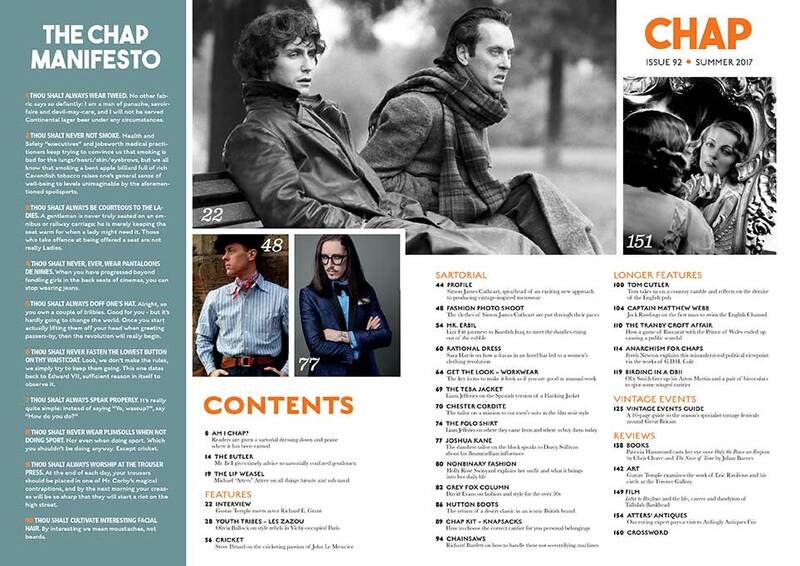 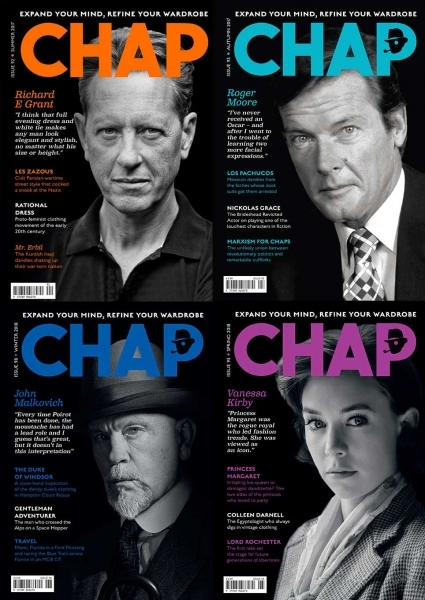 A bundle of four issues of the Chap since its change to a quarterly format, from the very first quarterly issue featuring Richard E Grant to Winter 18 featuring John Malkovich. 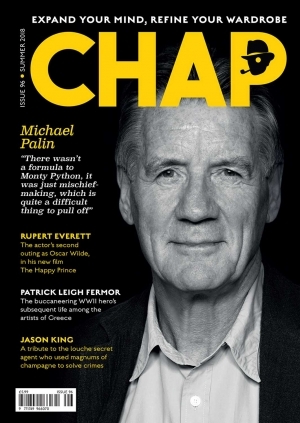 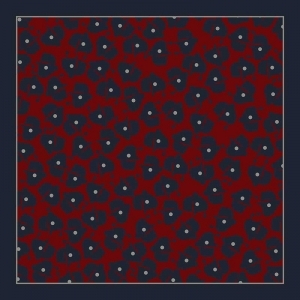 The reduced price means you receive one copy entirely free. A bundle of four issues of the Chap since its change to a quarterly format, from the very first quarterly issue featuring Richard E Grant. 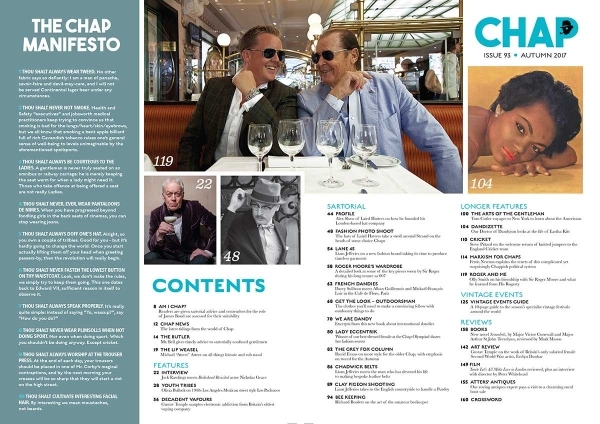 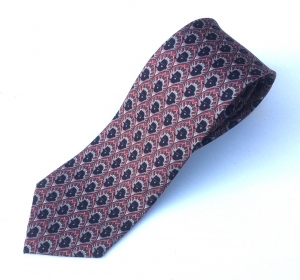 Interviews in this bundle include actor John Malkovich and Henry ‘Blowers’ Blofeld; features include the suits of James Bond, a tribute to Roger Moore from his friend Olly Smith; Hollywood gangster style; Mr. B the Gentleman Rhymer’s Chap Hop Diary; Mexican zoot-suited style tribe Los Pachucos; Lady Eccentrik; Eartha Kitt; Parisian dandies; Britain’s only female salaried War artist Evelyn Dunbar; Princess Margaret’s role as a dandizette; vintage-clothed Egyptologist Colleen Darnell; the peacockery of Pitti Uomo; Jump the Gun Mod Photoshoot, Vanessa Kirby on playing Princess Margaret in The Crown.